After some time though you’ll notice a powerful, calm, yet energetic element of this Cherry Pie, pulsating in full force in the background. The effect operates on two levels – the lethargic couchlock you would expect from an indica dominant hash, but also a coursing energy that never seems to cross the line into racy anxiety or paranoia. Nasha Extracts uses “cold water extraction” to separate trichomes from the rest of the cannabis plant matter, using only “pure mountain water,” according to their website. The company, whose name apparently means “the state of transformed consciousness,” is based in Humbolt county. Their founder lived in India for years, among the foothills of the Himalayas, “studying the origins of Hashish and the culture that surrounds it.” When you’ve experienced the sheer power and purity of Nasha’s hash, it is unsurprising to learn that they went straight to the source for their process. The root of this hash’s dual personality lies in the genetics of the Cherry Pie strain. This hybrid’s origins lie on opposite sides of the indica sativa spectrum. One parent is Granddaddy Purple, a much loved indica known for heavy couchlock and lethargy, as well as for sleep-inducing and pain-relieving properties. With purple tinged buds, a grape/berry aroma, and a strong body effect, it serves as a perfect example of a classic heavy indica. Cherry Pie’s other parent, however, is Durban Poison, a pure sativa from the South African port city after which it is named. Strains like Durban Poison are chosen for their productive energy, ideal for a busy day, a long afternoon hike, or creative activities such as painting or music. Racy, stimulating, and clearheaded, Durban Poison is the kind of strain that risks sparking anxiety in some people, who may generally prefer indicas. However, it is well-loved by sativa fans in the cannabis community, especially because of its ability to treat depression, fatigue, and stress. The sandy, deep olive-green hash offers a sweet, slightly spicy, and earthy scent, along with a classic hash aroma that is even more noticeable on the inhale. The taste is also a bit fruity, and smoother than a lot of other hash, without any hint of harshness. In terms of effect, Cherry Pie combines the opposite ends of the cannabis spectrum together into one strain, with a long-lasting, dual effect. I found that the indica traits stand out a little bit more, but during the peak of the effect from half an hour to an hour in, the sativa energy is clearly present before winding down into the indica couchlock later on. For me, Cherry Pie manages to impart some level of the famous sativa stimulation while avoiding the edgier, anxiety-provoking aspects such as racing thoughts and pounding heart. The “up” element of the effect remains steady, even, and relatively calm throughout, and is short-lived compared to the longer lasting, indica-like relaxation. In fact, the tail end of the experience wraps up with an increasingly sleepy and mellowing effect that veers toward a comatose by the end. This is a great strain for the late evening heading into bedtime, when you’re not quite ready to fall asleep yet, but will be in a couple hours. As is usually the case with hash, be prepared for a stronger than normal experience that ends with you going fully horizontal. 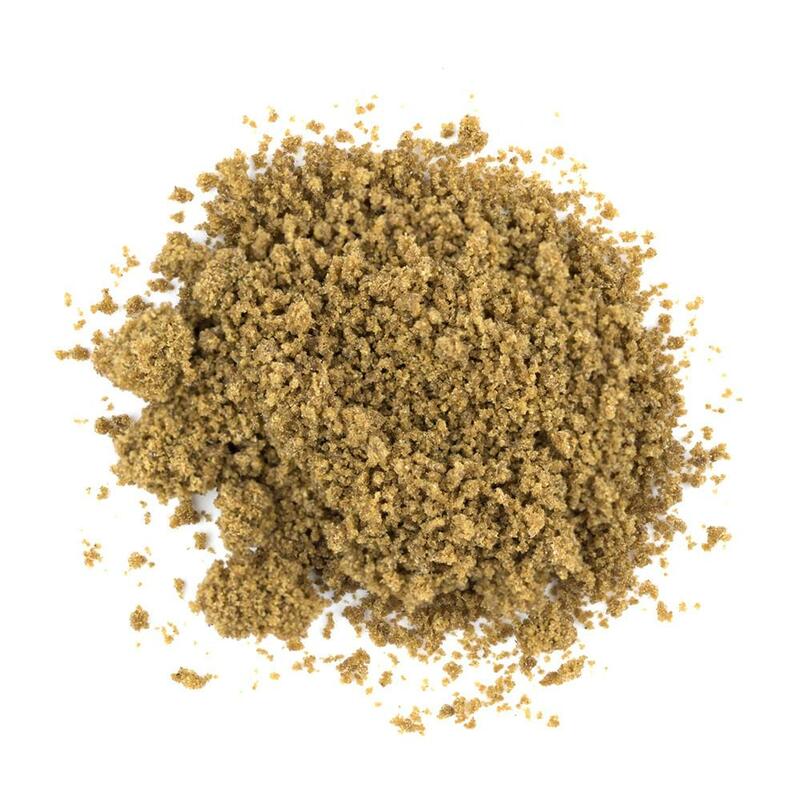 However, unlike some other, more “one-note” hash options, Nasha’s Cherry Pie hash offers an engaging and energetic experience before that happens. Bless your eardrums with our masterfully curated "Cherry Pie" Cloud Surfing mix for a nice and savory compliment to your hash smoking experience.